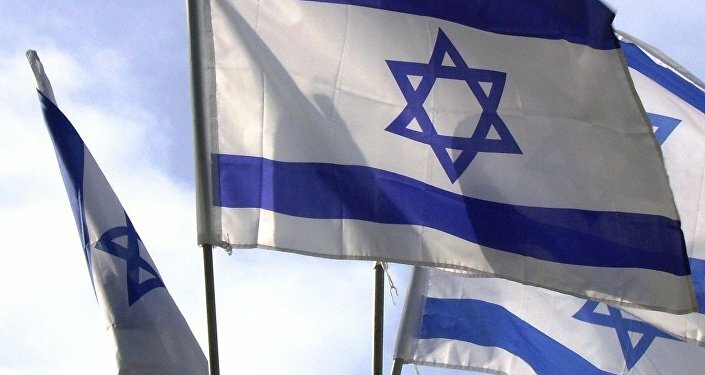 The head of Israel’s intelligence service, Mossad, has acknowledged the agency carries out “hundreds of thousands” of operations against “enemy countries” every year – the organization’s history of operations targeted against close allies went unmentioned. In particular, Cohen hailed his agency’s work against the “renewed threat” of Iran, particularly its military presence in Syria — and its ongoing focus on Hamas and Hezbollah. “Mossad is strengthening its interior structure, along with new capabilities in order to face future challenges, and advanced technology in the intelligence systems, and building human forces and resources. We are working on all of this in order to be prepared for the challenges we might face to our capabilities to secretly carry out operations for many years ahead,” Cohen said. “There are campaigns and intelligence operations that provide a counterattack to the central threats we are dealing with,” Netanyahu said. Many of Mossad’s overseas operations against its various “enemies” are well-known. For instance, in 2010 an international scandal erupted when the agency used three forged Australian passports to enter Dubai and assassinate Hamas leader Mahmoud al-Mabhouh. Australia warned Israel such behavior would compromise good relations between the countries, and the UK, Ireland, France, and Germany were likewise furious individuals linked to the assassination had been carrying travel documents from their countries. Do Israel’s Actions Bear All the Hallmarks of a Rogue State? In perhaps the most infamous and wide-ranging international operation in the agency’s history, following the savage attack on Israeli athletes at the 1972 Munich Olympic Games by terrorist group Black September, Mossad initiated “Operation Wrath of God” — a retaliation mission aimed at members of the group. In the process, several Palestinians living overseas with no apparent connection to the hostage crisis were slain in a number of different countries. Most notoriously, an individual in Lillehammer, Norway, was killed after the agency received information Ali Hassan Salameh, the mastermind of the Munich attack, was hiding in Norway. In fact, this intel was counterintelligence sent by Salameh to throw Mossad off his trail. A dozen agents were dispatched to Norway, and tracked down an individual they believed to be Salameh. The man was really Ahmed Bouchiki, an entirely innocent Moroccan waiter. Bouchiki was shot dead as he walked home from work — although as Lillehammer hadn’t hosted a murder in 40 years, and the arrival of 12 foreigners in a sleepy town had been noticed by locals, six members of the team were quickly arrested. The sextet were subsequently put on trial for murder, and on the stand the agents made full confessions, revealing embarrassing details about Mossad’s clandestine activities and assassination methods. In the aftermath, Mossad abandoned its entire European network of safe houses, drop boxes, and secret phone numbers. However, Mossad’s various operations targeted at its close allies are considerably less well known. The US, a country that provides Israel with billions in aid annually, has been a recurrent quarry. Similarly, in 1985, Richard Kelly Smyth, a physicist and businessman who had contracted with NATO and NASA, was arrested for illegally passing 15 shipments of nuclear triggering devices to the Israeli government via an Israeli trading company. He was sentenced to 40 months in prison, but immediately eligible for parole because he was 72 years old at the time of his sentencing.